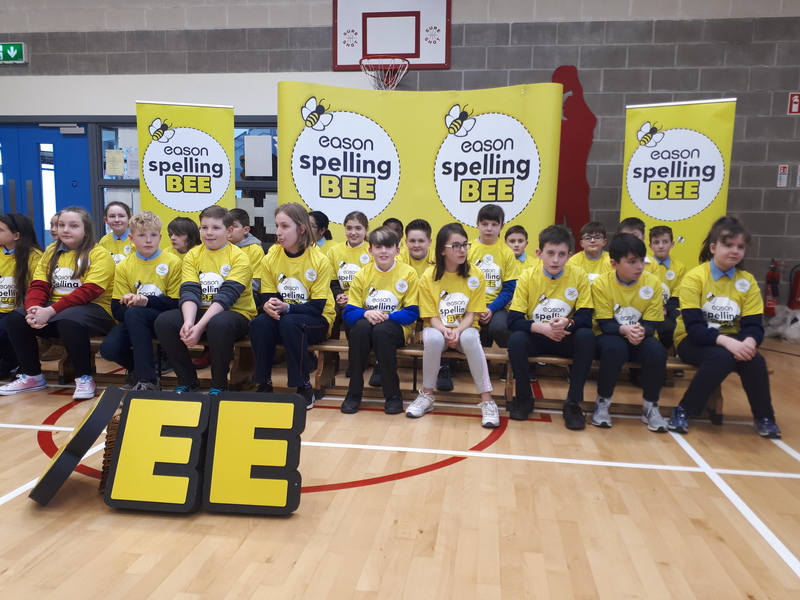 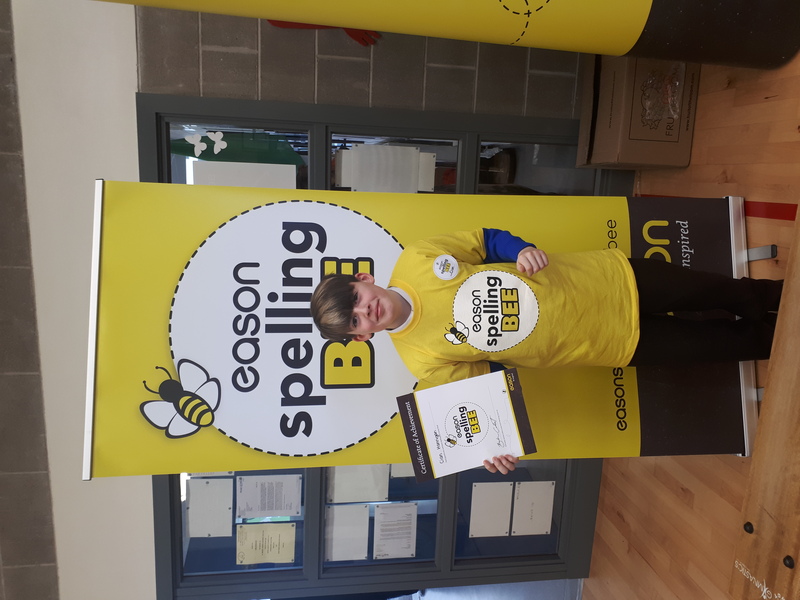 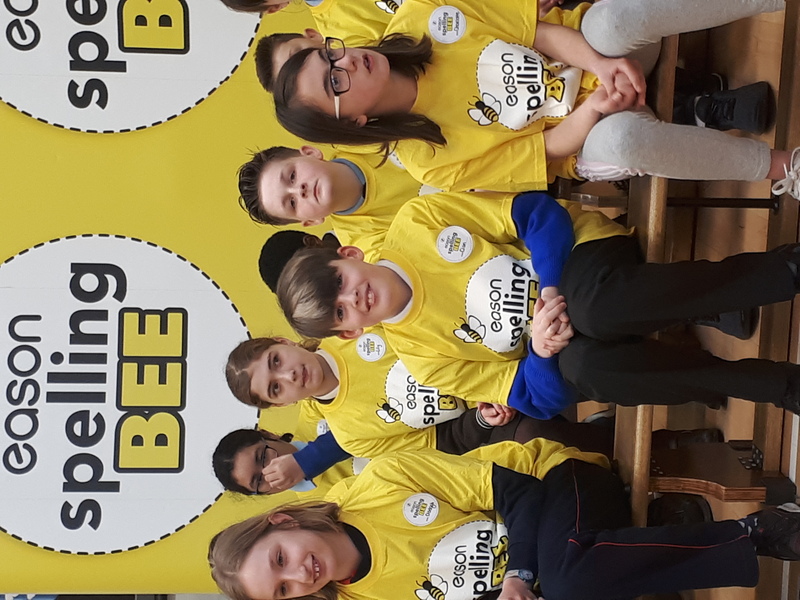 Congratulations to Cian from Mr. Sweeney’s 5th class who represented the school extremely well today in the Kildare Finals of the Eason Spelling Bee. Cian got through to the 3rd round, spelling some very tricky words along the way. 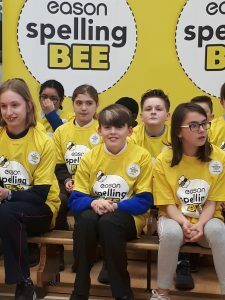 He stayed calm and steady throughout and graciously accepted the end result. 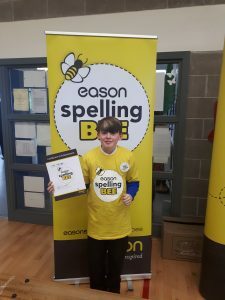 He was a great candidate for our inaugural entry to the Eason Spelling Bee competition.